Click for a downloadable MS Word version of the Constitution. The association’s name is The Cromwell Association (and in this document it is called “the Charity”). 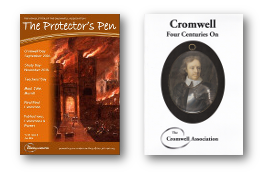 The Charity’s object is to advance the education of the public in both the life and legacy of Oliver Cromwell (1599-1658), politician, soldier and statesman, and the wider history of the seventeenth century. the benefit is authorised by the Trustees in accordance with the conditions in sub-clause (6) of this clause. In cases covered by sub-clause (5) of this clause, those Trustees who do not stand to receive the proposed benefit must be satisfied that it is in the interests of the Charity to contract with or employ that Trustee rather than with someone who is not a Trustee and they must record the reason for their decision in the minutes. In reaching that decision the Trustees must balance the advantage of contracting with or employing a Trustee against the disadvantage of doing so (especially the loss of the Trustee’s services as a result of dealing with the Trustee’s conflict of interest). The Trustees may only authorise a transaction falling within paragraphs 5(a)-(c) of this clause if the Trustee body comprises a majority of Trustees who have not received any such benefit. In this Clause 4, “Trustee” shall include any person form or company connected with the Trustee. The Trustees must collect in all assets of the Charity and must pay or make provision for all the liabilities of the Charity. in such other manner as the Charity Commissioners for England and Wales (“the Commission”) may approver in writing in advance. The members may pass a resolution before or at the same time as the the resolution to dissolve the Charity specifying the manner in which the Trustee are to apply the remaining property or assets of the Charity and the Trustees must comply with the resolution if it is consistent with paragraphs (a)-(c) inclusive in sub-clause (3) above. any resolution to amend a provision of Part 1 of this constitution is passed by not less than two thirds of the members present and voting at a general meeting, and supported by two thirds of respondents to a ballot of all members. A copy of any resolution amending this shall be sent to the Commission within twenty one days of being passed. The Trustees must inform the applicant in writing of the reasons for refusal within twenty-one days of the decision. The Trustees must keep a register of names and addresses of the members which must be made available to any member upon request. An annual general meeting must be held in each subsequent year and not more than fifteen months may elapse between successive annual general meetings. (AGM’s will usually be held on the Saturday closest to 25th April). The Trustees must call a special general meeting if requested to do so in writing by at least ten members or one-tenth of the membership, whichever is the greater. The request must state the nature of the business that is to be discussed. If the Trustees fail to hold the meeting within twenty-eight days of the request, the members may proceed to call a special general meeting but in doing so they must comply with the provisions of this Constitution. A general meeting may be called by shorter notice, if it is so agreed by all the members entitled to attend and vote. The notice must be given to all members and to the Trustees. A quorum is 15 members entitled to vote upon the business to be conducted at the meeting; or one twentieth of the total membership at the time resident within the UK; whichever is the lesser. If no quorum is present at the re-convened meeting within fifteen minutes of the time specified for the start of the meeting the members present at that time shall constitute the quorum for the meeting. If a meeting is adjourned by a resolution of the members for more then seven days, at least seven clear days’ notice shall be given of the re-convened meeting stating the date time and place of the meeting. The Charity and its property shall be managed and administered by a committee comprising the Officers and other members elected in accordance with this Constitution. The Officers and other members of the committee shall be the Trustees of the Charity and in this constitution are together called “the Trustees”. 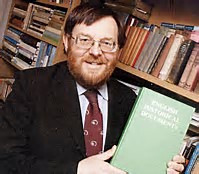 editor of the Charity’s journal. The number of Trustees shall not be less than six but (unless otherwise determined by a resolution of the Charity in a general meeting) shall not be subject to any maximum. The Trustees may appoint any person who is willing to act as a Trustee. Subject to sub-clause 5(b) of this clause, they may also appoint Trustees to act as officers. Each of the Trustees shall retire with effect from the conclusion of the third annual general meeting next after his or her appointment but shall be eligible for re-election at that annual general meeting. is signed by the person who is proposed to show his or her willingness to be appointed. The Trustees may regulate their proceedings as they think fit, subject to the provisions of this constitution. Any Trustees may call a meeting of the Trustees. Questions arising at a meeting must be decided by a majority of votes. The quorum shall be two or the number nearest to one-third of the total number of Trustees, whichever is the greater or such larger number as may be decided from time to time by the Trustees. If the Chair is unwilling to preside or is not present within ten minutes after the time appointed for the meeting, the Trustees present may appoint one of their number to chair that meeting. The Trustees may delegate any of their powers or functions to a committee of two or more Trustees but the terms of any such delegation must be recorded in the minute book. no expenditure may be incurred on behalf of the Charity except in accordance with a budget previously agreed with the Trustees. is vested either in a corporation entitled to act as custodian Trustee or in not less than three individuals appointed by them as holding Trustees. The terms of the appointment of any holding trustees must provide that they may act only in accordance with lawful directions of the Trustees and that if they do so they will not be liable for the acts and defaults of the Trustees or of the members of the Charity. The Trustees may remove the holding Trustees at any time. The Trustees must keep in repair and insure to their full value against fire and other usual risks all the buildings of the Charity (except those buildings that are required to be kept and insured by a tenant). They must also insure suitably in respect of public liability and employer’s liability. The Trustees may from time to time make rules or bye-laws for the conduct of their business. The Charity in general meeting has the power to alter, add to or repeal the rules or bye-laws. The Trustees must adopt such means as they think sufficient to bring the rules and bye-laws to the notice of members of the Charity. The rules or bye-laws shall be binding on all members of the Charity. No rule or bye-law shall be inconsistent with, or shall affect or repeal anything contained in, this constitution.